A landmark that would have been hard to miss on a northern journey to the end of Sembawang Road or to Sembawang Shipyard was the Church of Our Lady Star of the Sea, which occupied a corner of Chong Pang Village. 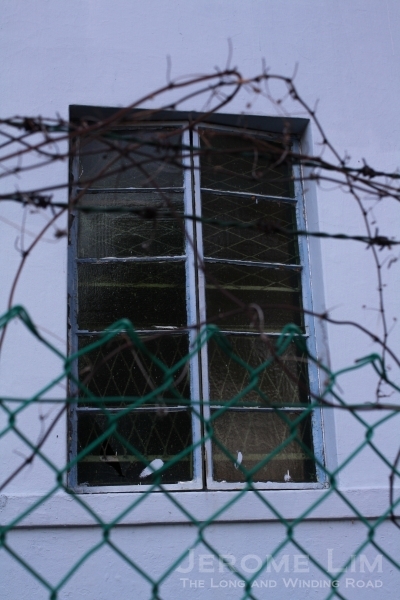 The corner which the church occupied, was where a fork in the road gave one a choice of taking a left to Canberra Road or a right to continue along Sembawang Road. For many in the pre-1971 days of the Naval Base, the church would have marked the area which led to Canberra Gate – an entrance along the southern boundary of the huge base which had stretched along the northern coast of Singapore from a line which ran northeast from Canberra Gate all the way west close to the Causeway to what is today the western end of Woodlands Waterfront. The Church of Our Lady Star of the Sea in Chong Pang Village (photo used with the kind permission of Mr Henry Cordeiro). The church building, small by today’s standards (it would have had a seating capacity of maybe a hundred or two) and surrounded by a iron picket fence typical of fences of old, had a wonderful homely feel to it. 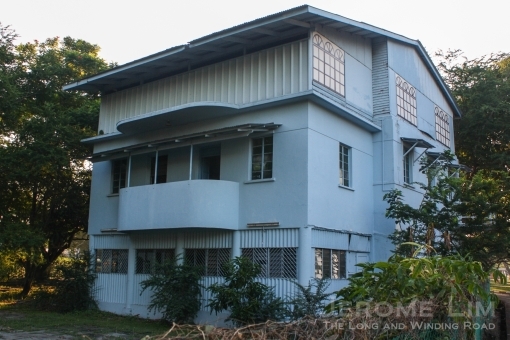 The building was completed in 1953 through the efforts of its then parish priest, Fr. Albert Fortier. 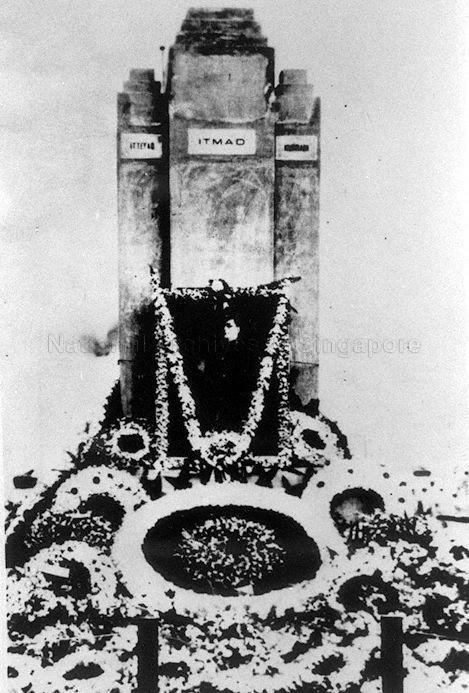 It was blessed on 13 December 1953 by the visiting New Dehli based Apostolic Internuncio to Malaya (and India), Monsignor Martin Lucas who had a busy Sunday – he also blessed the Church of the Immaculate Heart of Mary in Highland Road earlier on the same day. The back of the church building seen in 1989 (photo used with the kind permission of Mr Henry Cordeiro). The church was blessed on 13 December 1953. The parish’s history does go back a little further than the building that stood at the start of Canberra Road. Based on information on the church’s website, the origins of the parish goes back to the beginnings of the Naval Base when priests based at the Church of Our Lady of Lourdes sought to extend their ministry to the small community of Catholics from 1926 – probably involved in the construction of the base which was fully completed only in 1938. 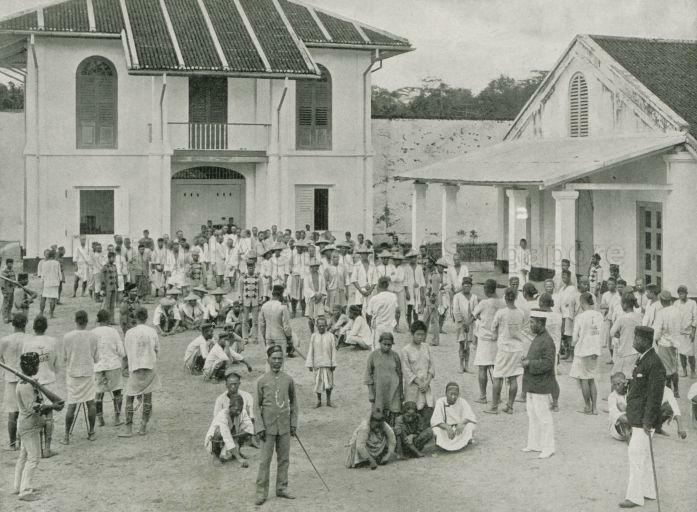 Services were to first be held in a makeshift building on the grounds of the Naval Base School before the parish was established by Fr. 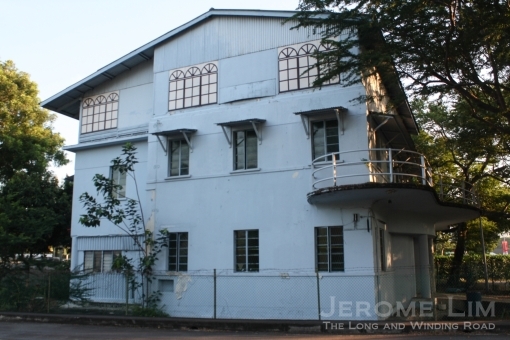 Dominic Vendargon at a building at Jalan Kedai (this would be the area across Canberra Road from where Sembawang Mart is today) which had been used as a school during the Japanese Occupation in August 1949. It was Fr. Vendargon’s successor, Fr. Fortier, who had to put up a new church building after the former school was deemed unsafe in 1952 and the simple building was built at a cost of some $53,000. A statue of Christ which stood in the grounds just outside the church, another landmark, was added in February 1956. A view of the church from the main road in 1989 (photo used with the kind permission of Mr Henry Cordeiro). The statue of Christ can be seen to the right. The church building was one which I did visit from time to time in the 1970s and 1980s. 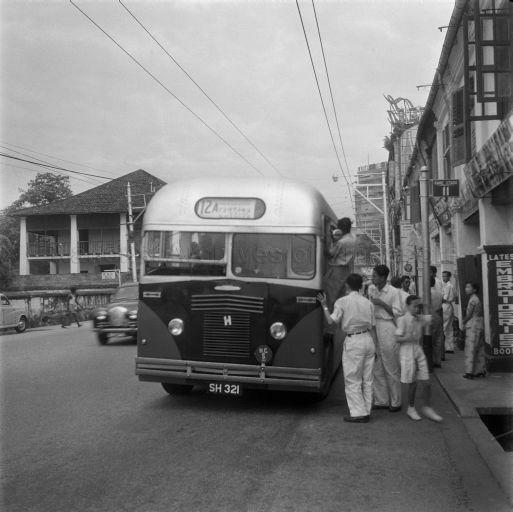 Then, it did serve a large community of Tamil and Malayalee parishioners, many of whom worked at Sembawang Shipyard which had taken over the Naval Dockyard in 1968. 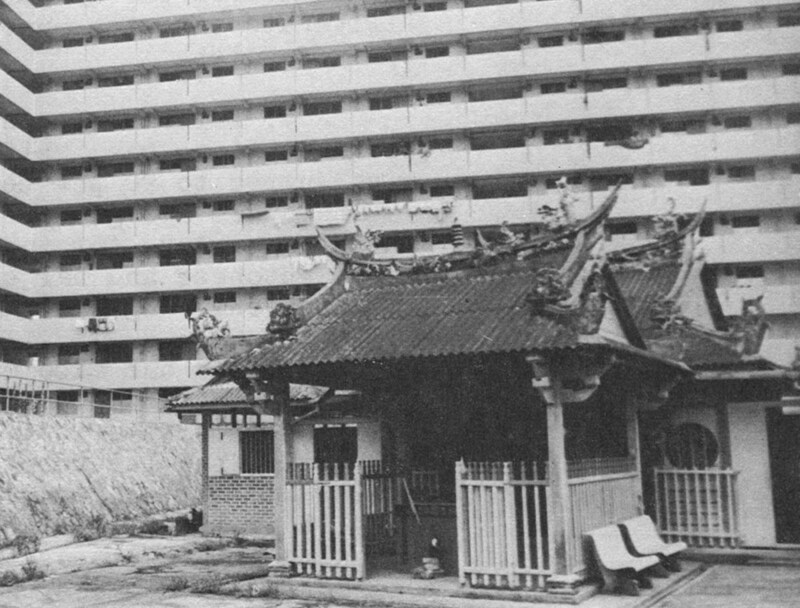 With the days of the village coming to a close in 1989 – it was being cleared to make way for the new public housing estate of Sembawang, the church (its land was also acquired) had to seek new premises. Its then parish priest, Fr. Louis Amiotte announced the construction of a new church at Yishun Street 22, designed in it was said to be in the shape of Noah’s Ark, which was completed in 1992. The new church building, built at the cost of $4 million, was blessed on 30 May 1992 by then Archbishop Gregory Yong. 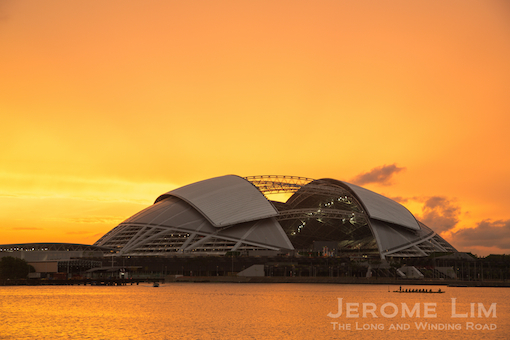 The new church building at Yishun Street 22 – shaped like Noah’s Ark, was completed in 1992. Much has changed in the area since the village disappeared at the end of the 1980s and the start of the 1990s. The new housing estate started coming up at the end of the 1990s and very little traces of the once bustling village are left. Much of the land on and around which the church had stood – except for the expanded road, is now vacant, awaiting future development which, at least based on the Urban Redevelopment Authority’s Master Plan 2008, will see sports and recreation facilities coming up. The corner where the church stood as seen today. 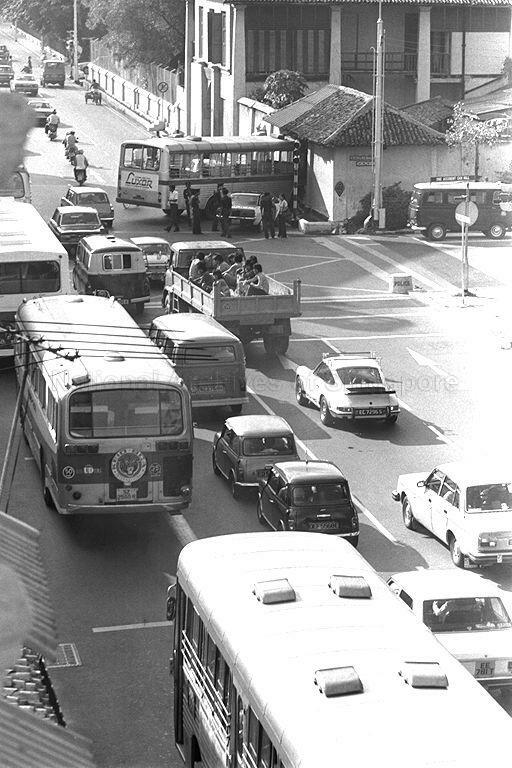 Part of the grounds would be on what would today be the widened Sembawang Road. The corner at Sembawang Avenue and Sembawang Road is slated to be used for future development of sports and recreation facilities. There was at Tanah Merah, an idyllic world that in the Singapore of today, would be rather difficult to imagine. Set on a landscape on which the gentle undulations seemed to blend those of a forgotten sea, except for where a set of cliffs – the larger of two from which the area derives its name – stood, it was a most picturesque of spots and one in which many found an escape. Caressed by the gentle breeze of the forgotten sea, Tanah Merah was where life was pretty; both for the occupants of the generously diemnsioned villas overlooking the sea, as it was for those whose humbler dwellings were marked by their thatched attap roofs. Life was very much a beach for me, spending magical holidays by the sea in the Tanah Merah of old! I first met the acquaintance of Tanah Merah as a child of three. A holiday taken at a huge government bungalow my parents were guests at, was to be the start of many early childhood encounters I was to have with the area. Plymouth, the bungalow by the sea, near the village of Ayer Gemuroh, was one of two of a similar sort. The other was called Newquay. Perched on a small elevation that had overlooked the sea, it was typical of a colonial era house, its well selected position, a testament to the knack the British had for the best locations to house their colonial administrators. The grounds of the bungalows at Tanah Merah, the Plymouth, at which I stayed at in Dec 1967 can be seen in the background. As was typical of such houses, the bungalow was raised over the ground on stilt like columns. That I suppose, not only kept the vermin out, but also allowed ventilation through the slits in the wooden floorboards to keep the house cool in the oppressive tropical heat. 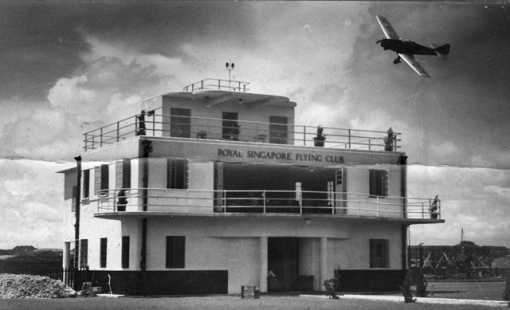 The bungalow would have been handed over to the Singapore government in the transition of the island from the colony to a state in the Federation and then independence. Several in the east, where the best beaches in Singapore were, were turned into holiday bungalows. This was to the benefit of the many civil service officers, in days when holidays at home by the sea were the fashion. The entrance doorway of the Plymouth was accessible through a short flight of stairs. The bungalow’s grassy and expansive grounds were shared with the neighbouring bungalow. A flight of stairs at its seaward end led to a terrace where benches allowed one to stare at the beach and sea beyond it. Both the beach and the sea were accessible via another flight of stairs. From the grounds, one climbed a short flight of stairs to the raised floor of the bungalow. This brought one up to a landing that led to a well ventilated lounge and dining area. Large airy bedrooms were also spread across the bungalow’s single level. The kitchen, and what would have been rooms that served as servants’ quarters, were found on behind the bungalows at ground level. The expansive grounds where the bungalows were located was on a hillock close to Kampong Ayer Gemuruh that overlooked the sea. The area around Ayer Gemuroh all was rather interesting. I would be given many views of the area from the back seat of my father’s Austin 1100 over the years that were to follow. The drives would take us from the holiday bungalows we would subsequently stay at in Mata Ikan, just southwest of Ayer Gemuroh, all the way to eastern ends of Changi Beach near Telok Paku where the waters were more pristine and also beyond which a favourite haunt of my parents, Changi Village, lay. 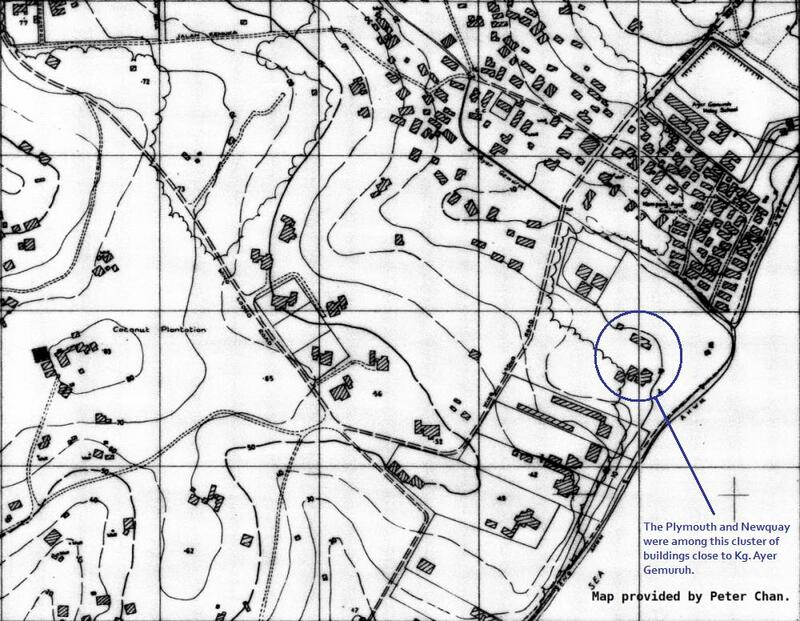 Map of the Kampong Ayer Gemuruh area showing the location of the Plymouth and Newquay (map source: Peter Chan). The drives would take us through Wing Loong Road, down the area of the cliffs near where the road ended at Tanah Merah Besar Road. Moving beyond the T-junction, the road would become the marvellous Nicoll Drive, which ran along the casuarina lined beach and the sea, taking us past among other things, a children’s home. 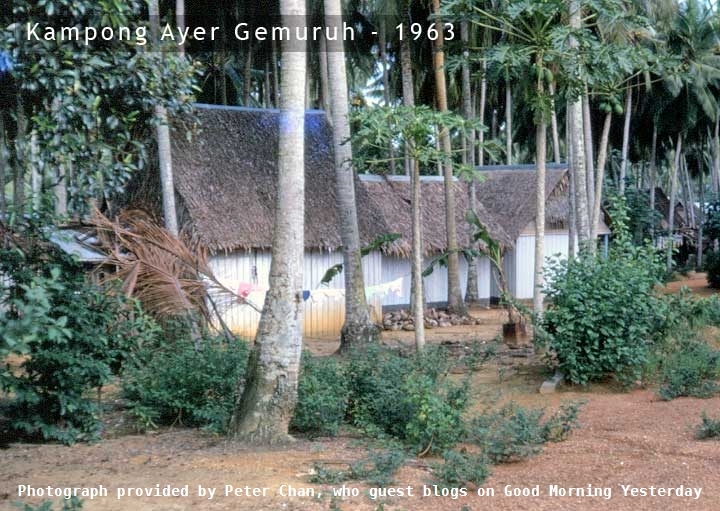 Village scene, Kampong Ayer Gemuruh, 1963 (source: Peter Chan who obtained this photograph through a British guy whose father had worked in RAF Changi in the 1960s). One of the sights to look out for during the drives would be David Marshall’s house by the sea. I was to learn much later that Marshall, who served as Singapore’s first Chief Minister upon the attainment of self-government, had the house named Tumasek and that it was where he entertained guests with his famous Sunday “curry lunches”. Marshall had set eyes on the house from a very young age and was able to purchase it only much later when its owner, a retiring accountant, wanted to sell it. 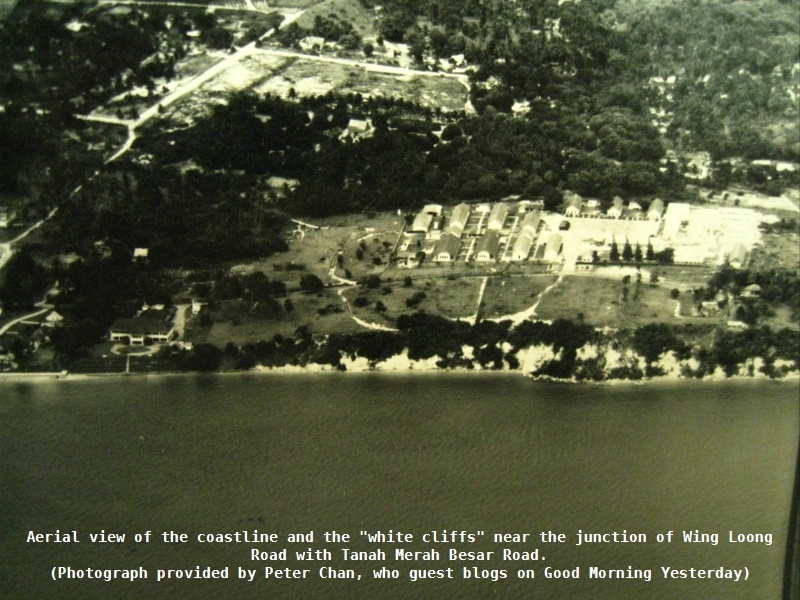 Aerial view of the coastline at the Tanah Merah area in 1964, close to the junction of Wing Loong Road with Tanah Merah Besar Road showing the “white cliffs” (source: Peter Chan). I had my first encounter with Kuda Kepang, a somewhat mystical dance of Javanese origins in which two-dimensional representations of horses are used, in passing Ayer Gemuroh on one of the drives. It was being performed in a clearing in the village for a wedding, as it would have been commonly seen in those days. Another sight from the village that would be etched in my memory is that of a group of boys walking around with their sarongs held away from their bodies by a frame. I would learn that the boys had just been circumcised and the frames, which presumably made of rattan, kept the sarongs from making painful contact with what must have been an especially tender spot. 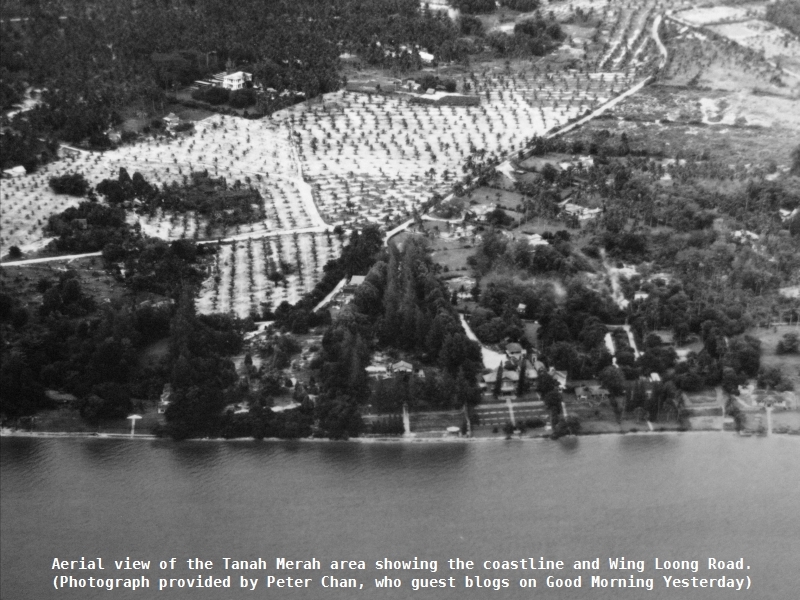 Aerial view of the coastline at the Tanah Merah area in 1964, showing also Wing Loong Road (source: Peter Chan). When you travel down Tanah Merah Besar Road, (after the junction with Tampines Road) you go down the “valley” and up the top then down the “valley” until you reach Nicoll drive junction. There was a sand pit on the left of Tanah Merah Besar Road (just before the junction) – you see like what you find in Malaya’s tin mining open cast mining this wooden “slide”. Once you turn into Nicoll Drive on your right was Casuarina Motel (later called Aloha Rhu Village opened in 1971) with Hawaiian waitresses dressed in grass skirts. Then next was the Singapore Handicapped Home or Cheshire Chidlren’s home. In front of those homes was a WW2 pill-box. You would then drive to 14 milestone Nicoll Drive. On your right you see one wooden community building – PA operated I think, called Tanah Merah Holiday Camp. There is a sharp bend to the right because there was the RAF Eastern Dispersal Area, and a road straight again to the Teluk Paku Road junction. After this junction you find government division 1 holiday bungalows (black and white type, modern bungalows also – now where I think the SIA Engineering hangers are). 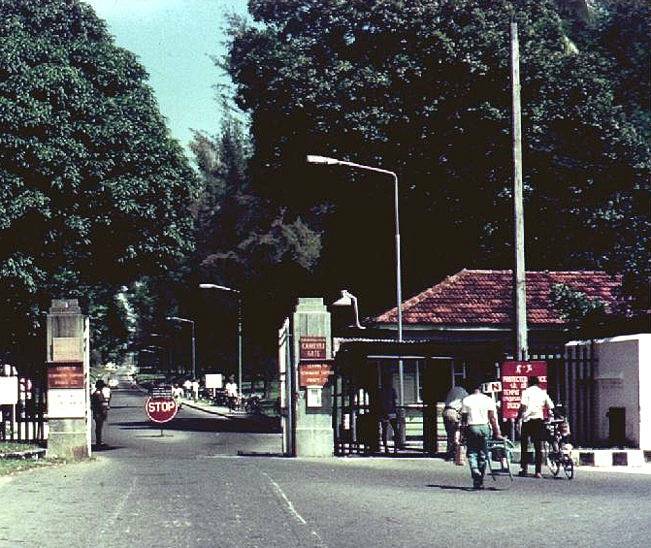 Teluk Mata Ikan was accessible from Wing Loong Road (metaled road), also from David Marshall house, from which one must pass 2SIB HQ called Tanah Merah Camp, which was built in 1966, There was also access from the north through Somapah Road. There was a kampung and mosque at Ayer Gemuroh facing a cliff. Here are some photos you might need. I have written these up in my memories book. The PA venue could be called either Tanah Merah Holiday Camp or Changi Holiday Camp. The modern bungalows during RAF era were called B & H Bungalows (Brighton & Hoove still operate similar place in south England today)”. The gateway to Tanah Merah. The junction of Tanah Marah Beasr Road, Changi Road and Tampines Road. 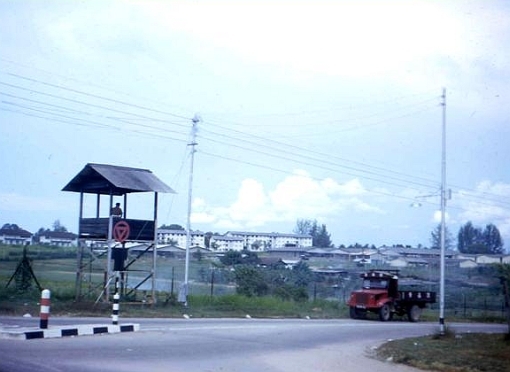 The watch tower was a landmark in the area and was to watch over the perimeter fence around the piece of land in the background where prisoners from Changi Prison would be put to work (source: Peter Chan). I suppose, beyond the descriptions provided, it would still be hard to fully appreciate what Tanah Merah was. Sadly for us and for the residents of the area, all the wonderment that a most beautiful of places provided, lives now only in our memories. That Tanah Merah, and its beautiful coast, lies in an area swallowed up by the massive land reclamation project of the early 1970s. Altering much of Singapore’s southern shores. In the case of Tanah Merah, it was to provide the land on which Changi Airport was to be built (a September 1970 news report in the Straits Times provides some information on the reclamation effort). The reclamation brought to not just a time of magical adventures for me. It altered the lives of many who had lived and had an attachment to an area of which little evidence other than a name, is left these days. 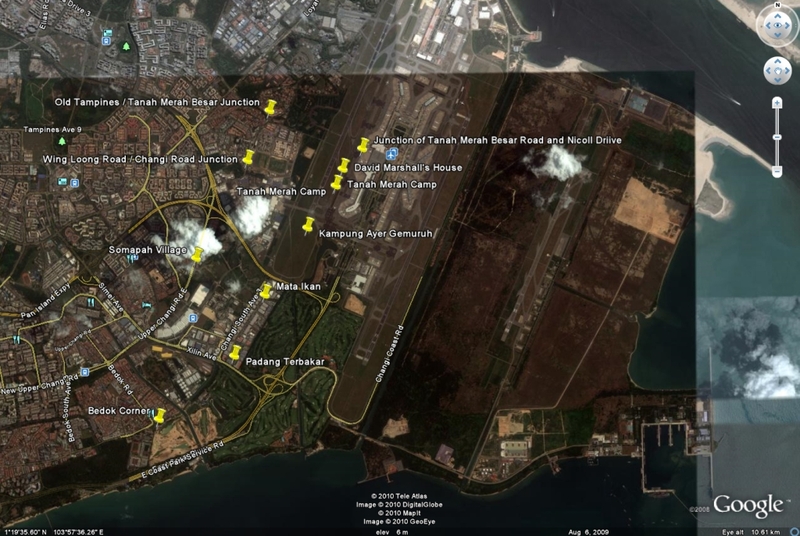 Some of the area lies under Changi Airport with Ayer Gemuroh itself, buried under Taxiway WA (which runs along Runway 02L of Changi Airport). I have included a Google Earth map below, in an attempt to identify the approximate locations of the places I have mentioned. All I have left of the most magical of places are some photographs, many fond memories, and a deep longing to return to an area that provided me with a joy that I have never again had the experience of. Tanah Merah Besar, 1958, posted by Graham Collins on Facebook. It was with a tinge of sadness that I realised that the last of a trio of landmarks that stood at the bottom of the southern slope of Fort Canning Hill has gone the way of two of its former companions. We have already lost two icons that once stood there, the National Theatre and Van Kleef Aquarium which remain only in the memories of those that knew them. The third, the River Valley Swimming Pool, not so much an icon, but a feature nonetheless at the foot of Singapore’s Forbidden Hill has somehow remained intact all these years after its closure in 2003, until recently. 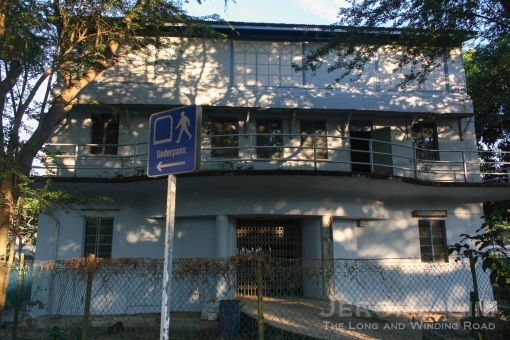 I had mentioned in a post on what I referred to as the far side of the hill, that the swimming pool, that once served as the pool where as a schoolboy going to Saint Joseph’s Institution not so far away, I had gone for swimming lessons that were conducted for our Physical Education (P.E. ), was awaiting its end, hoping vainly that it would not. Alas, its end has come, and what remains where the pool had been, is now levelled with red earth that the two excavators which proudly sit atop it must have had a hand in filling. The disused River Valley Swimming Pool seen from Fort Canning Hill in 2009 . The entrance and exit of River Valley Swimming Pool seen early this year which is still largely intact. The swimming pool, as I had previously posted, was built in the late 1950s by the Singapore City Council. Designed by a British architect, M. E. Crocker, it opened in 1959. Little did I know it when I was a schoolboy, the complex was a haunt of men of the alternative orientation. The swimming pool does hold many memories for my schoolmates and me. One fondly remembers frequenting the pool not because of the men, but to watch the Saint Nicholas Girls’ School swimming team train there. The complex closed in 2003 and stood unused until the pools were filled up recently. At least, not all is lost, it does appear that the buildings that were part of the complex, are being refurbished. It is sad though to see that the pool is gone. The life guard post of the disused swimming complex as seen through the entrance, that was still intact earlier this year. A close up of the life guard post that is now gone. The pools have now disappeared, levelled with the filling of red earth. Two excavators stand proudly over the buried pools.